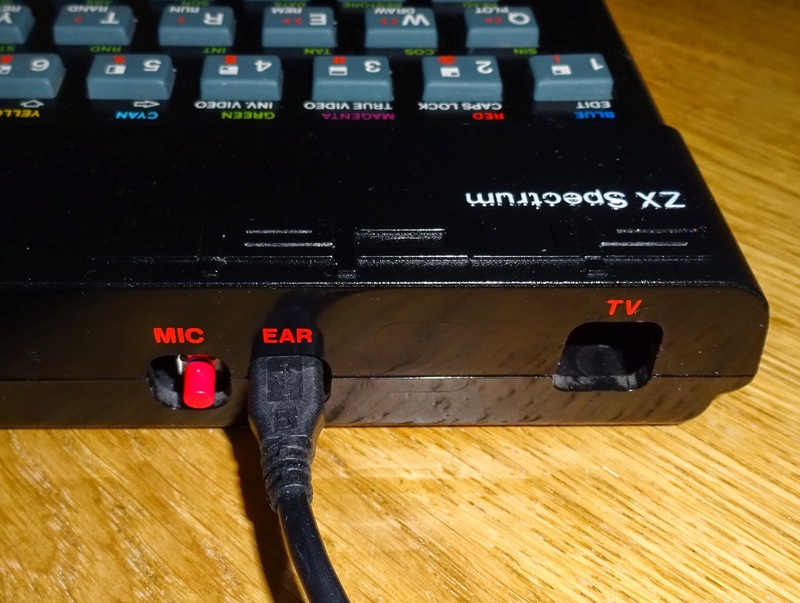 I've been asked many times for kit to convert a ZX Spectrum into a USB keyboard, so here it is. 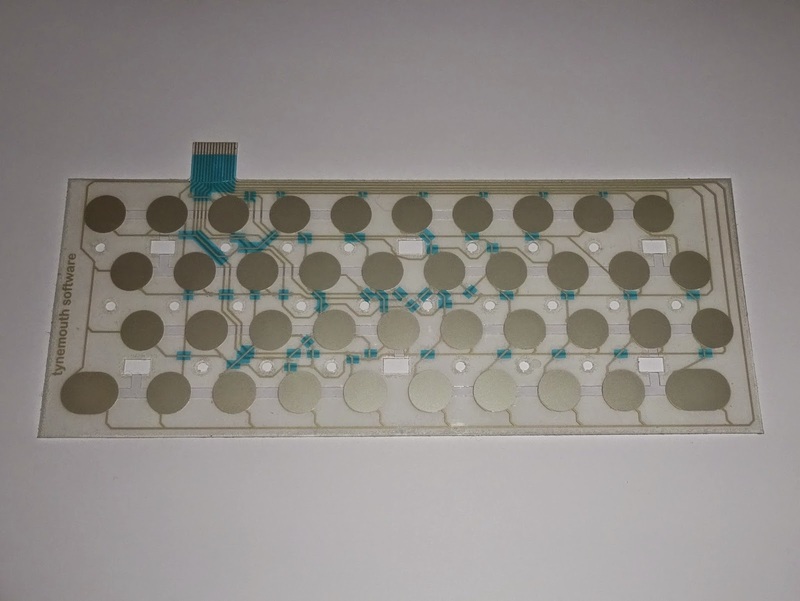 The new membrane has a single short 14 way 1mm pitch tail. 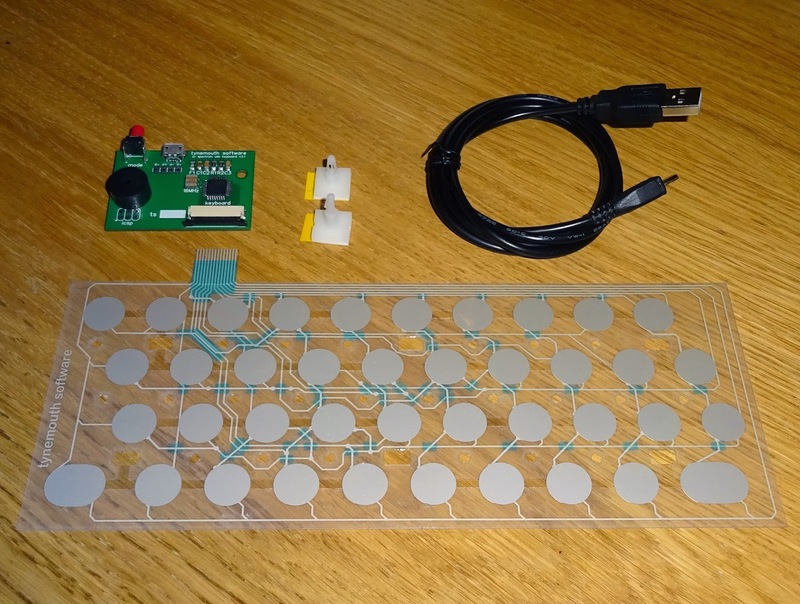 The keys are now arranged in a 4x10 matrix, rather than the original 8x5. 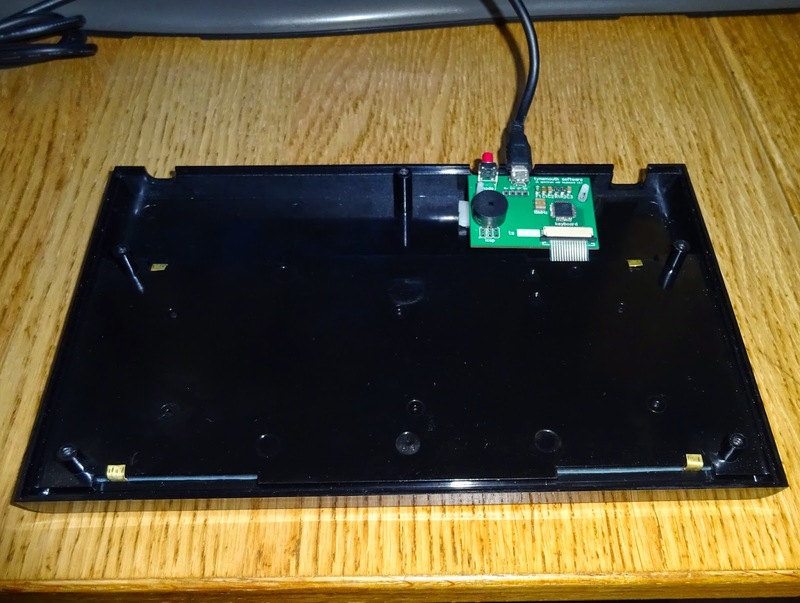 With the original membrane, the controller board had to be the full width of the case, and so took up a lot of the space inside. 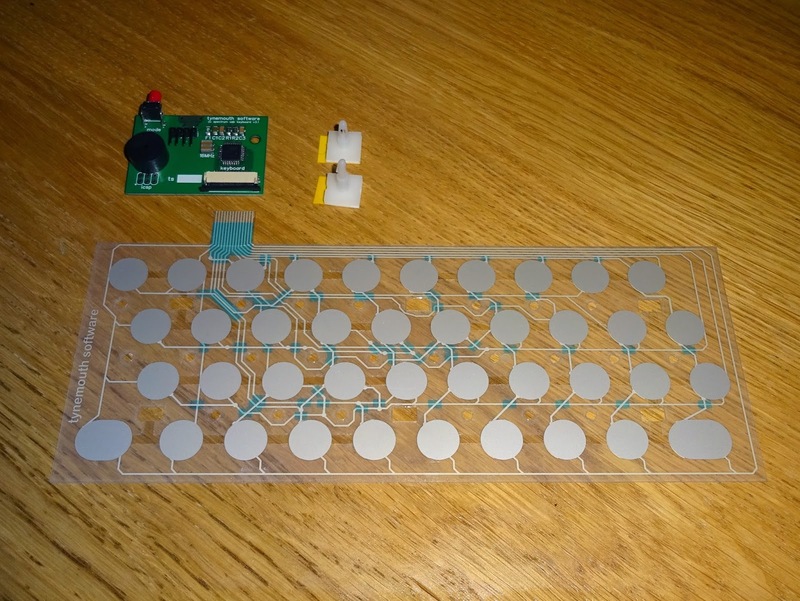 The new controller board is a lot smaller. 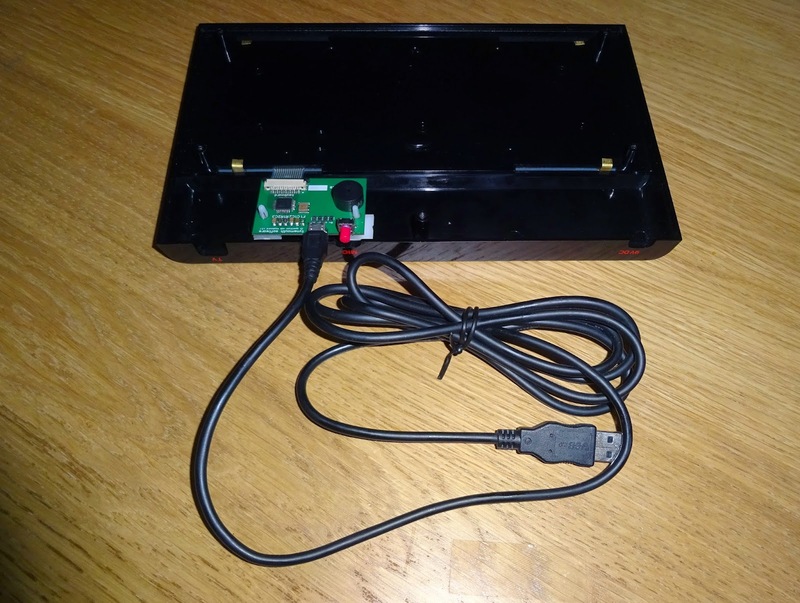 This leaves more room in the case, should you wish to add a raspberry pi or other system. 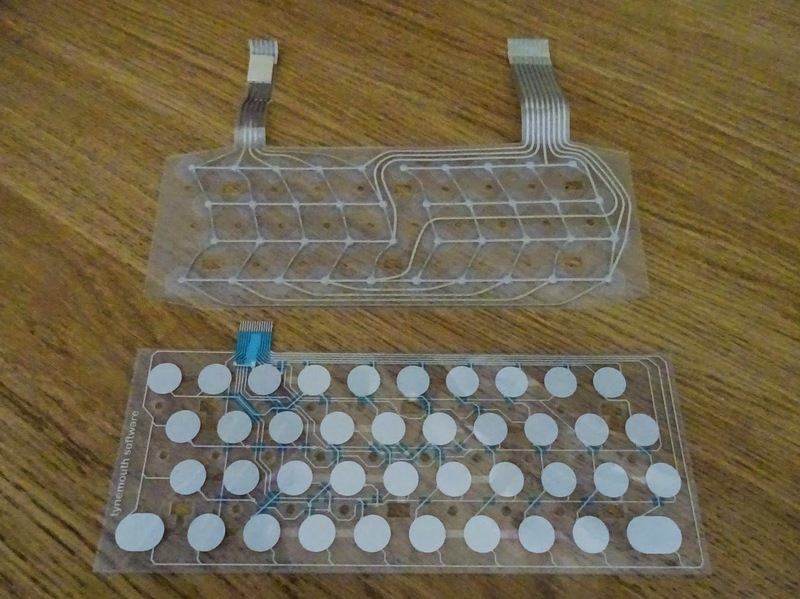 The membrane tail fits directly into a flat flex connector on the board, so no more long flapping tails. The red button is the mode switch to alternate between mapping modes. The start mode has each key mapped according to what is printed on it. Caps shift and Symbol shift are used to get additional functions and punctuation (see full mappings). 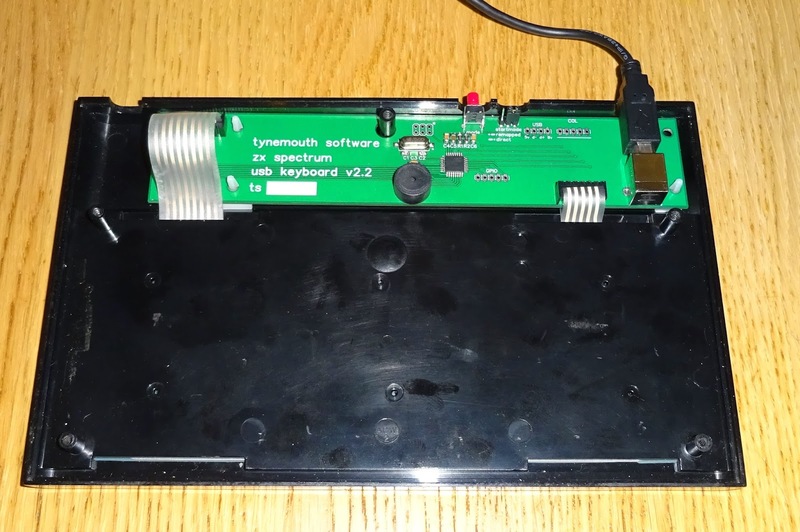 Press the button and it switches to a mode where each key is mapped directly to a key on a normal keyboard (for use with emulators or if you wish to map yourself in your OS). Press again and it goes back to the remapped mode. The buzzer on there beeps where you change mode, and in remapped mode, it makes a 'tick' sound when you press the keys to give you positive feedback. 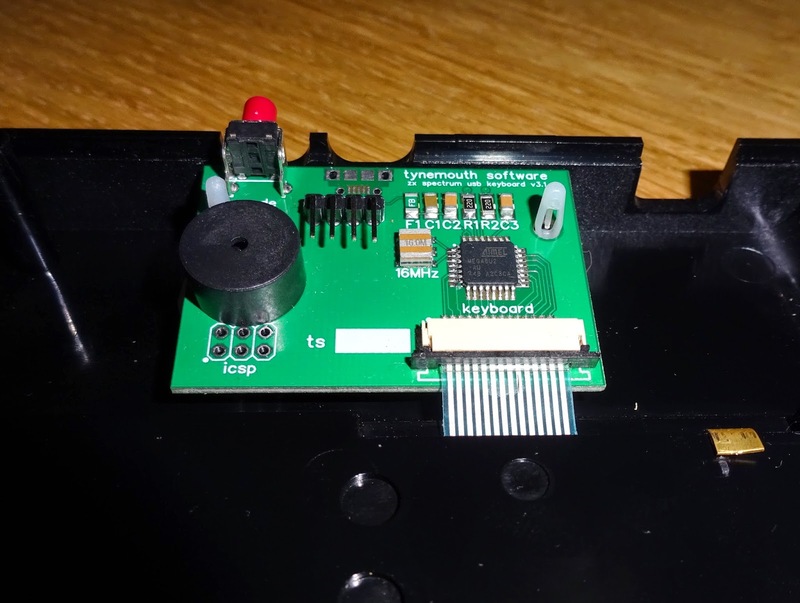 There are two options for the controller board, it can either have a microUSB port that sticks out of the 'EAR' socket, or a 4 pin header for a captive cable (if you prefer that), or for connection to a pi etc. 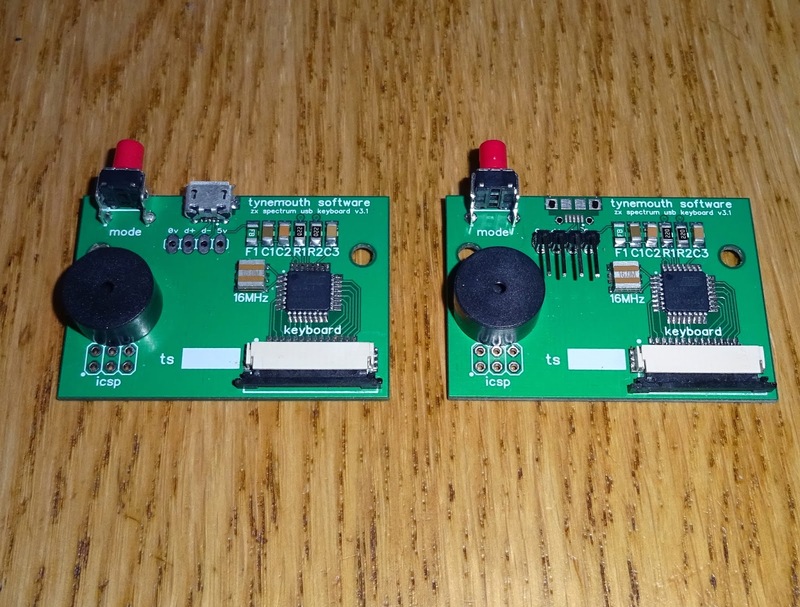 The kit is available with either the micro USB version shown above, or the internal connector version. 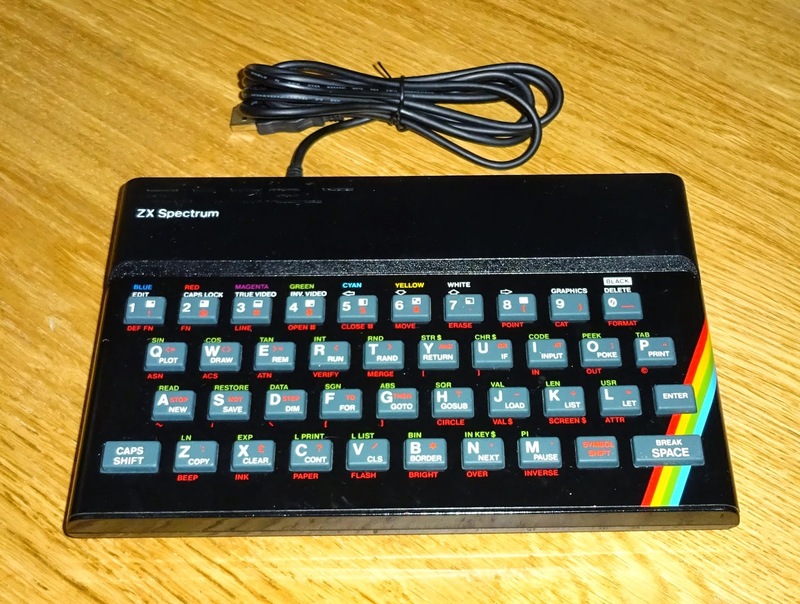 The kits are also available form my Etsy store: ZX Spectrum USB keyboard conversion kit. 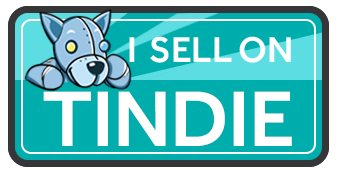 I will be using these on my ZX Spectrum USB keyboards and ZX Spectrum USB Keyboard with Raspberry Pi, both available from my Etsy store. 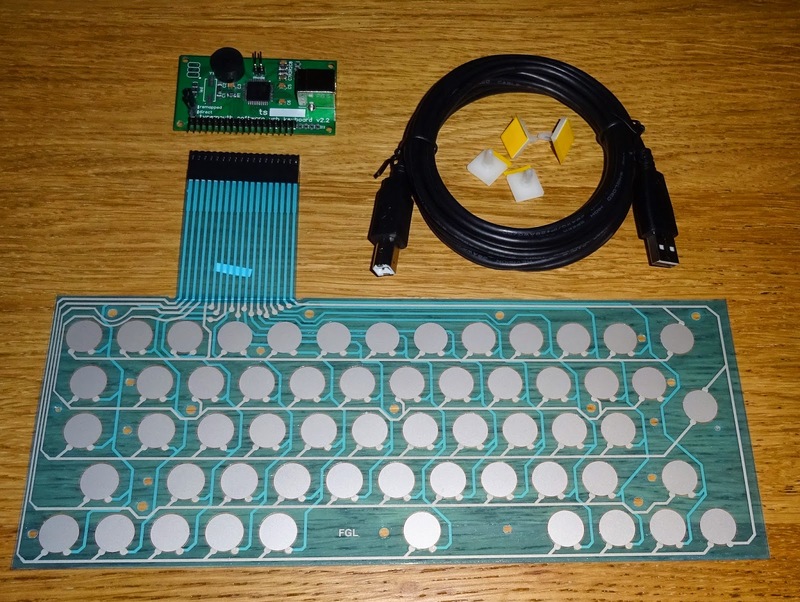 I've also listed the ZX Spectrum+ USB keyboard conversion kits, see the blog article on those for more info. 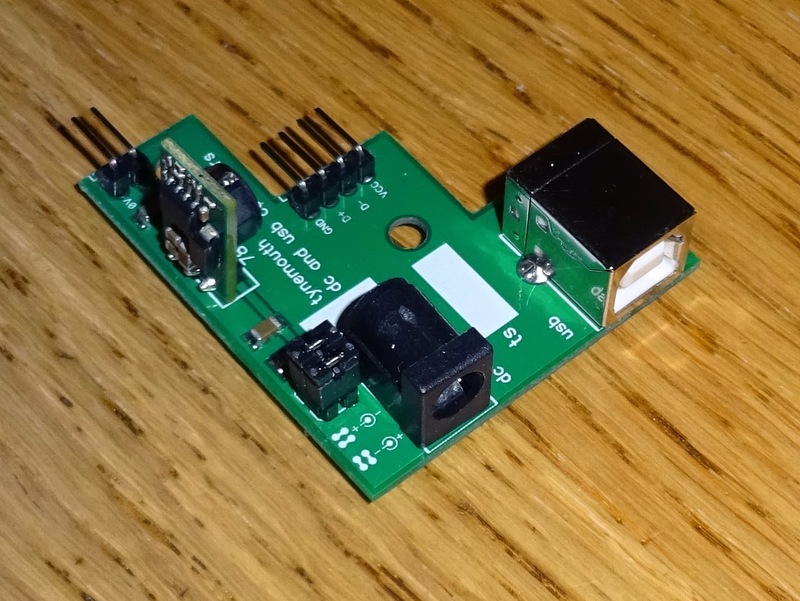 Update: Dave Jones' EEVBlog postbag including quick installation and review at 18:25.